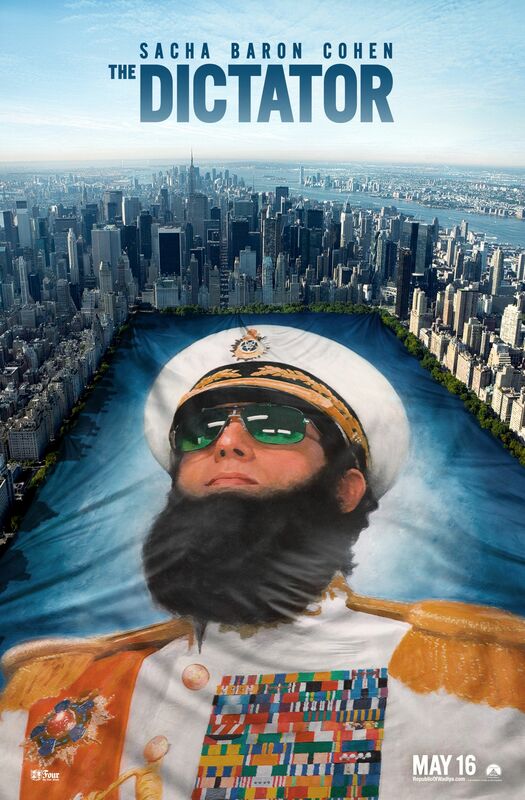 A new red-band trailer for the Sacha Baron Cohen comedy The Dictator has gone online. The clip is basically structured similarly to the other trailers, but it includes alternate takes and different jokes. I was a big fan of Borat and admired the ballsiness of Bruno, but I’m starting to feel like The Dictator may be a bit one-note. This is the first Cohen comedy that’s set up as a true narrative feature instead of a mockumentary, so it’ll be interesting to see how this outlandish character fares throughout a true story arc. I liked the opening scene of the film so hopefully I’m wrong, but I’m not entirely convinced that I won’t tire of the character after 30 minutes of the film. Hit the jump to watch the trailer. We’ve also included an embed of a sketch from this past weekend’s Saturday Night Live in which Cohen appeared in character as said Dictator holding the actor’s Hugo director Martin Scorsese hostage. The Dictator opens on May 16th.